Last week I featured a review on the new Summer Line from Borghese Beauty. Today I'm showing you a smokey green look that I came up with. 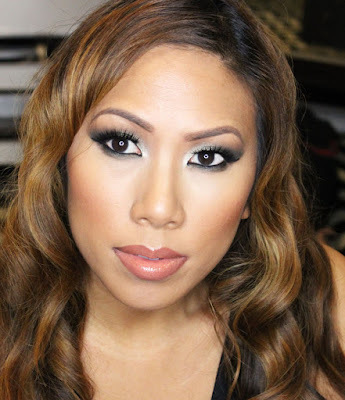 This is great for an alternative to the typical smokey eye. Check it out! 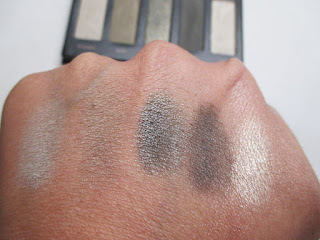 I was inspired by the green palette I tested out to come up with this sultry smokey eye. 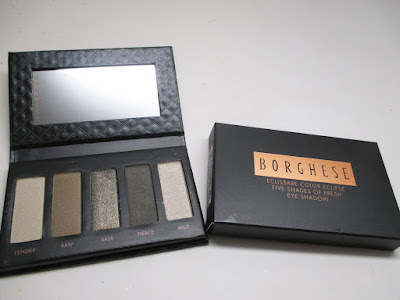 The Borghese Five Shades of Fresh Eyeshadow Palette has a variety of greens that pair perfectly to complete an entire eye look. I used the deepest shimmer green on my lid, a medium satin green to help blend out the crease, and a goldish green as my tearduct highlight. The colors really apply and blend beautifully. I decided to pair the greens with orange coral tones. I always think that makes a nice combination. On my cheeks I used the Borghese ColorRise Blush in Flight. I like that it's deep enough to also act as a contour shade. On my face I'm rocking the Borghese Summerglow Tinted Moisturizer just in the center of my face since it's a tad light. On the outside I'm rocking CoverFX Pressed Mineral foundation in G70. On my lips I paired Ofra's Rio Long Lasting Liquid Lipstick with a brown lipliner and Borghese ColorGloss Lipgloss in Gilt to give some shine. I love how dramatic the lip is yet the color is subtle at the same time. Hey there! I just recently created a fashion/beauty blog and I was wondering if you could follow me or give me a shout out, and I'll obviously do the same for you. Also, I just extremely love your look in this post!